So far this summer has been a blazing one. We are all trying to keep cool in the heat. Hydrating, and staying out of the sun. In the meantime, don’t forget about your houseplants. They are hot and thirsty too. Are you taking extra good care of your plants during the summer? 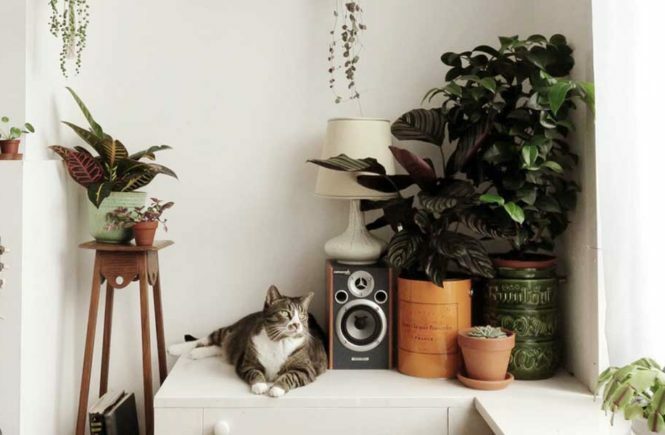 Indoor plants get hot too, and they need our help to get through the summer thriving. Have your plants survive the summer! Move your Plants away from the Heat. First things first. Even plants that usually love bright direct light, can get overwhelmed by the afternoon sun in the summer. They might wilt and turn generally unhappy. 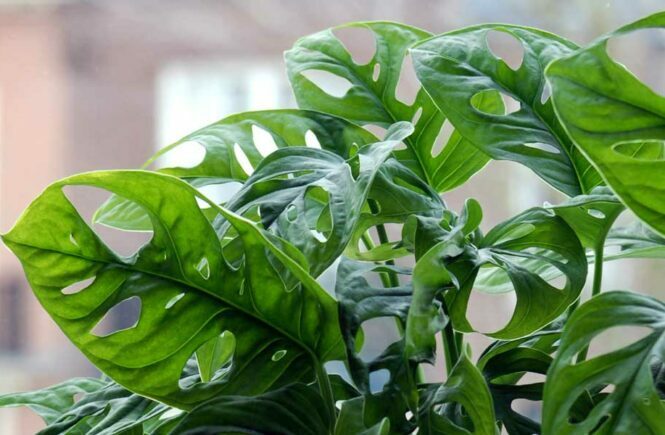 Or you’ll notice some rough patches on the leaves of the plant. Sunburn! 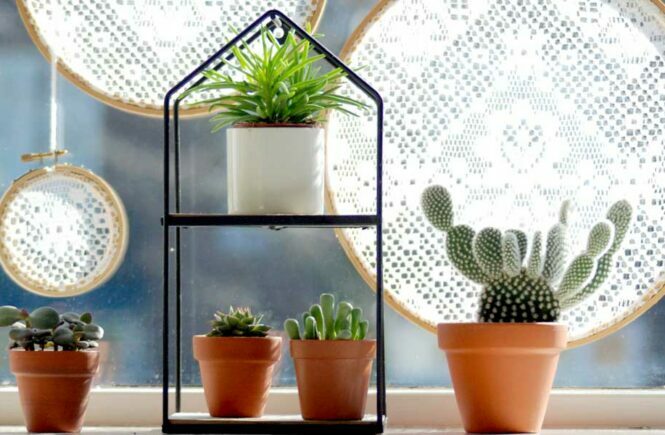 Be proactive and move your plants further away from sun filled windows during hot days, or put a sheer curtain in between. If you’re feeling crafty, you can make these easy DIY embroidery hoop window sun diffusers. 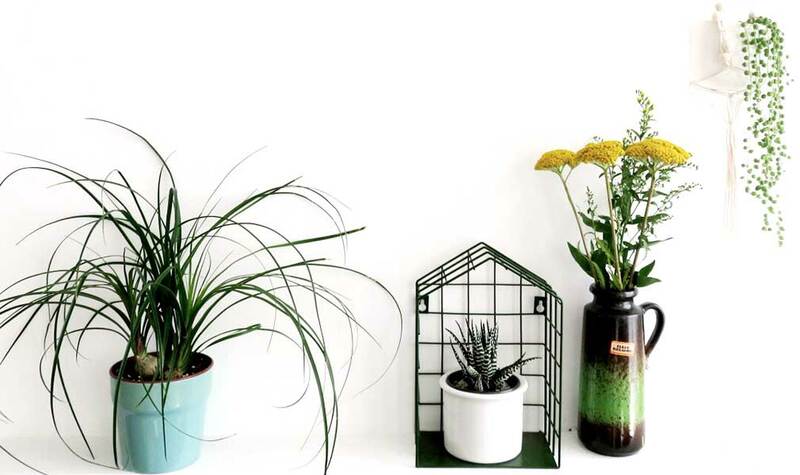 Your plants will love them! Plants are just like people, they like some fresh air in the summer. Provide them with a breeze by opening some windows during the cooler times of the day. Just don’t go overboard by putting them in front of the air conditioner. Most indoor houseplants don’t do well with cold air hitting directly on their leaves. Water your Plants more and more often. Though I always warn not to overwater your plants, during a hot summer my advice is a little bit different. When the temperatures are high, your plants will need more water. The heat will evaporate the water faster than normal. You will notice the soil dries out quicker, and your plants need to be watered more frequently. Don’t use cold water thinking you’re cooling your plants off. Water that is too cold can shock the roots. And those roots should be nurtured. Room temperature water is best. A good watering session in the morning will help them get through the heat of the day. For most plants, spring and summer are when they do most of their growing. New leaves shoot up, and flowers bloom. This is the time of year when you should give them a helping hand and fertilize. Beware on very hot days though. When regular summer days turn into a heatwave, plants go into survival mode. All their energy goes into coping with the heat instead of taking in nutrients. Fertilizing during a heatwave will be too much to handle for your plants. So wait until the heatwave ends before fertilizing. That’s it. Your plants will thank you. Happy plants, happy summer. Have you ever lost plants to the heat or some additional tips to help them through a hot summer? Please share your experiences! 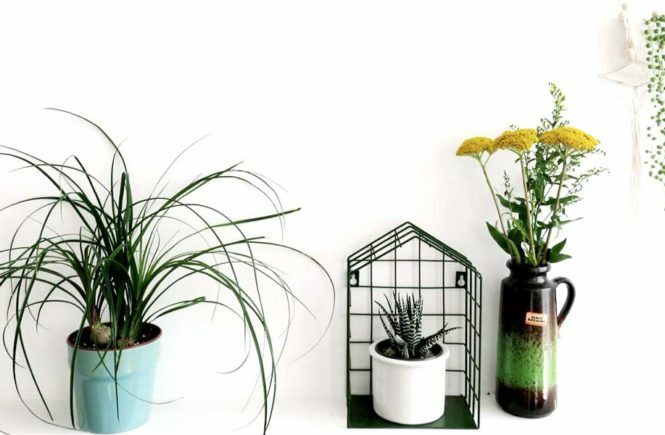 Read More: Tips to take care of your houseplants during the cold winter.